Many people may have this question: Is it possible we can backup the messages from iPhone to computer and read the text messages? As iTunes can not make it, and we always have lot of messages which are worth preserving. 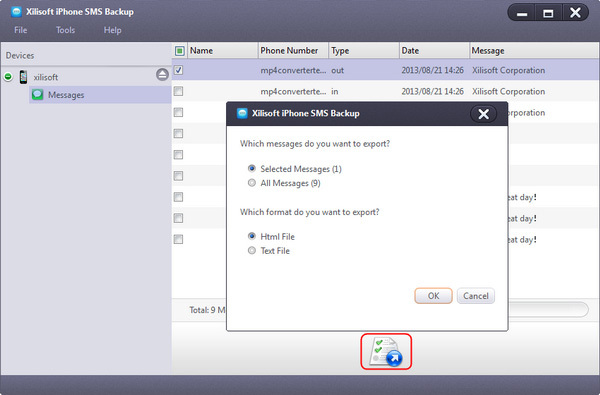 Now, Xilisoft iPhone SMS Backup can help you export the iPhone messages to computer as Text or Html file. With this program, you can read the messages as dialogue form easily. This article will show you how to backup iPhone messages. 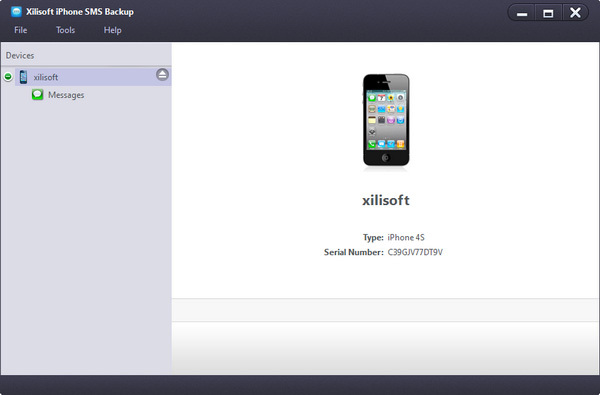 Download Xilisoft iPhone SMS Backup, install and run it. Connect your iPhone to computer, the application will recognize the device automatically and displays the device information in the interface. Now, with the Text file or Html file you can read the messages as dialogue form on your computer.